Inkstamps are a great way to add some flair to the ordinary, stationery, envelopes, and more. Additionally these are great for hand stamps at events and large event “passports” or “bingo cards” to let people track were they’ve been. I can do anything from 1″ round or rectangular stamps and up but would advise not requesting stamps larger than about 3″ × 2″ for the aforementioned purposes. This is because most ink pads, and thus the largest color selection, are at or a bit smaller than this size. However you can still obtain larger ink pads, with much fewer color choices, for up to 6″ × 4″ stamps. 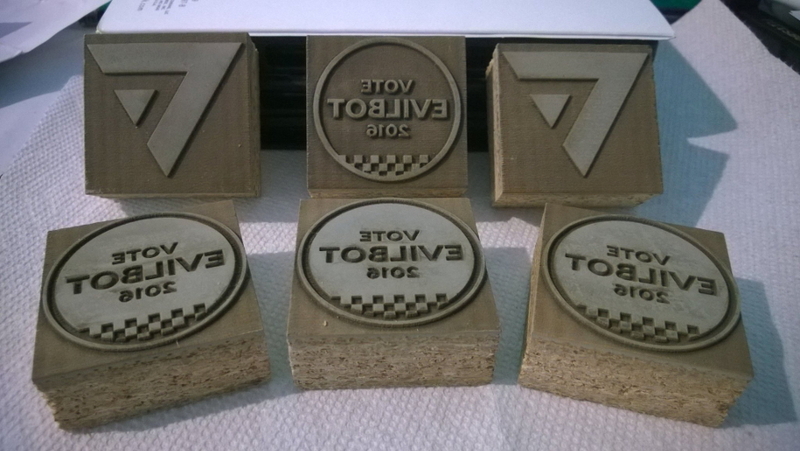 Please let me know if you want these stamps to be mounted (affixed to a wooden block or other sturdy material). Stamps above 6″ × 4″ will only be made unmounted and are more suited to doing art prints with ink or paint. Typically a brayer is used with these in place of an ink pad. Stamps made by me can have small details but if they're too thin or intricate they may not be preserved or will break off very easily. 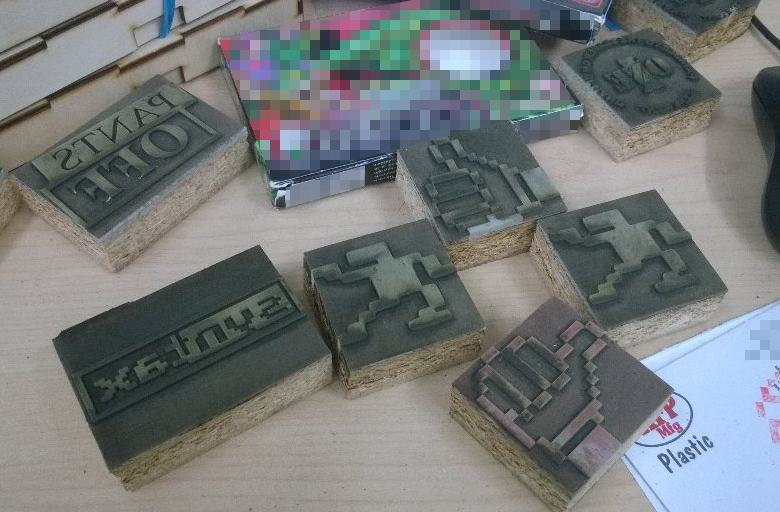 It is best to make sure all features in your design at the requested stamp size are no thinner than about 2mm. If you intend to use your stamp on skin or other softer surfaces I can give them a little more depth to avoid leaving ink from the backing on surfaces.